As we start a new year, I will be starting a new series on branding yourself and your legal services. This will include the why, the what, and the how of becoming a legal brand unto yourself. And, we will discuss the various Model Rules of Professional Conduct you must understand in order to brand yourself ethically. First, you need to have your own brand because people do not hire law firms – they hire lawyers. We are still in a person-to-person business and people do business with people they know, like and trust. The brand you create and build for yourself can speak volumes to the public without you ever meeting them. And while working for a firm that may already have a great brand makes it easier to connect your brand to that firm, people are hiring you and your knowledge. Second, your legal job is no longer secure. When I first began in the legal industry, most attorneys joined a firm and stayed there until retirement; they worked their way up from associate (and in some instances summer associate) to partner. Then, in 2008-2009, the legal industry went through its first real recession. More than 10,000 people in the legal industry found themselves out of work. Esteemed law firms found themselves out of business. As of this year, Sedgwick, LLP, an almost 85-year old AMLAW firm, has shuttered its business and many of the attorneys have moved to other firms. The industry, and your job, is not as secure as it once was. Further, there are reports which say that more than 100,000 jobs in the legal industry will be lost to automation in the near future. And while many of these jobs are considered “lower-level” tasks for law firms and lawyers, including document review, creating a brand may insulate you from any type of negative issues that may occur in the industry. In fact, the attorneys who land on their feet quickest not only have their own book of business but a brand that they have built which helps them attract new clients and referral sources. Third, you want to be able to control your own future. 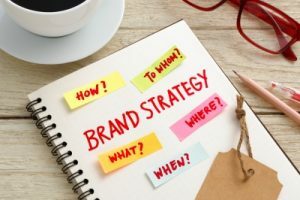 Whether you want to stay in the firm you are currently in, whether you want to move to a new firm, or whether you want to leave and start your own firm, a strong personal legal brand can take you where you want to go. Alan Dershowitz: Constitutional Law expert who defends the civil liberties of his clients. Mark Geragos: Known for defending the highest of high profile clients. These, and many more attorneys, have a brand that almost automatically brings in new clients. And, not all of them are famous in the same sense as those listed above but have a brand in their industry or niche that allows them to be visible to all of the potential clients they would like. Create and build your brand – one that allows you to write your own career ticket. And this series will help you do just that…. Ethically!